My dearly beloved daughter, I wish to discuss the importance of love and how, without love, the world could not survive. Where you find love, you instantly feel the presence of God. Love is ever-lasting. It can never die for it comes from God and will last for eternity. Without love, people would die and become barren. When you love a child, you are feeling the same kind of love that My Father holds in His Heart for each child born in the world through His creation. Love is a sign from God. No matter what religion or creed you follow, love can only come from God. My dearly beloved daughter, I am calling out to everyone, young and old, who is unsure about their faith in God. When you marry, you feel an overwhelming love for your spouse. Then, when you have children, the love you feel surpasses anything you could ever have imagined. Hatred, on the other hand, comes from the dark side. If you believe in the existence of Satan, then know that everything that is unjust and evil in the world is caused by him. Because of your blindness, My Mercy is now going to cover the world to prove to you that I exist. When the signs in the skies are shown to you and witness the clash, the noise and the shaking in the ground, know that I have come to waken you up. When this happens, I beg you to turn to Me then, for I want to fill you with My Love so I can bring love and joy into your hearts. When My Mercy comes upon you, you will feel peace at last. “O Jesus, fill me with the Love of God. Fill me with Your Divine Light and flood me with the love I need to spread the seed of God’s Mercy amongst all nations. Help us to spread God’s Love, so that It can and will conquer all evil in the world. “Dear Jesus, give me Your Love and open my heart to accept Your Love with gratitude. By the Power of the Holy Spirit, let Your Love shine upon me, so that I become a beacon of Your Mercy. I Am Gentle, Loving and Patient and all will be done by the Holy Will of My Father, Who does not wish to bring pain and anguish to any of His children, no matter how blackened their souls are. If this was the case, He would have destroyed the world and taken only the elect into the New Paradise. And so My Father waited and waited, until the world’s population was at its greatest number. He has begun the final part of His Plan to save humanity, so that a multitude can be saved at once. Compare Me to a mother who has to separate from her child at birth and who can never see this child again during her lifetime. The mother will never forget that child and spends every day pining for her flesh and blood in the hope that she will reunite with her baby at some stage. Every day that child is in her thoughts; she prays for his or her well-being and feels a permanent pain, deep within her heart, for her loss. Nothing will ever satisfy her, until she embraces that child once again in her arms. She has great patience, great hope and a deep longing to come face to face with the child she expelled from her womb and does not mind the years in between. All that matters to her is that she and her child become whole again – one entwined with the other. “O Mother of Salvation, I ask you to intercede on my behalf as I plead for God’s Love. Fill my soul, an empty vessel, with the Love of God, so that when it is overflowing, it will spill over the souls for whom I struggle to show compassion. Humble me in spirit and fill me with generosity of soul so that I can follow the Teachings of Christ and spread His Love into every part of my life. My Love will conquer evil and hatred. Love wipes out hatred, as the evil one, the thorn in man’s side, is incapable of it. When you say you love Me then you must fight very hard to prevent hatred, of any kind, to blemish your soul. If you love Me you will forgive your enemies because you will see them as I see them. This requires perseverance on your part and discipline, which will prevent you from hurting another person, either verbally or physically. Never forget Who I Am. I Am the beginning and the end. All who come to Me will find Eternal Life. Allow Me to take you to safety and to a glorious life in union with My Will. I will reveal the New Paradise in My Own Time and I desire that you show patience. Live your lives in harmony with others. Look after your families as before. Come to Me in your churches as before. But, always remember that the Truth, the True Word of God, can never change for I Am the Truth. I can never change for that can never be. My dearly beloved daughter, how cold the hearts of men have become. How little do they care for the needs of others or the gift of life. They have allowed their hearts to fester because they no longer have the capacity for true love to reign within their souls. Once love is weakened, and when charity for each others needs becomes scarce, then nothing but injustice will be forthcoming. When love diminishes, God is diminished in your lives. For those who may once have loved Me, and who no longer believe in Me, their hearts will turn to stone. When you turn your back on love for one another, you will become barren and restless. Your lack of love will lead you into accepting every kind of practice, which is abhorrent to Me. Everything that I stand for will be dismissed by you. All life, given to humanity, by the Power of God, will be tampered with and, in many cases, destroyed by you. Your respect for God’s Laws and human life no longer mean anything. Your attachment to all earthly things and the worldly goods they yield, will leave you without satisfaction. Give up your wayward and foolhardy pursuits of pleasure. Do not attempt to change the Laws of God to suit your sinful lives. Ask, ask, ask for My Intervention so that I can show you the way. If you do not turn back to the path of Eternal Life, which was carved out for every child of God, then you can never be part of My Kingdom. I remind you that I forgive easily and love everyone with every part of My Being, although many torment Me with their indifference and their hated of Me. I accept the fact that I Am not loved like I once was and that the faith of My people has turned cold because this was foretold. My Duty now is to relieve man from the slavery imposed upon him by Satan, through temptation. As long as man does not believe in Satan – the greatest scourge facing humanity – he will not accept My Goodness, My Love or My Existence. It is difficult for all of you who know Me to remain in a state of grace. Think how lost those souls are, who pay me no heed at all; the ones who do know Who I Am but who give Me nothing of their time; the same souls who were given the Sacraments and the Truth but who waiver their right to My Kingdom. Many of them idolize false gods and pledge themselves, almost daily, to the pursuit of things, which do not come from me. None of these people love Me but I love them and I always will for they are part of My Flesh. Man is made in God’s Image. Like any parent, God sees Himself in His Own and this brings Him great joy. Every man possesses traits of My Father. There is good in everyone and it is this goodness, which proves to you that God is present. Rejoice, when you witness kindness, love, patience and great acts of charity for you can be assured that the Presence of God is at work in souls who display these traits. It is this goodness, within the hearts of sinners that will defeat evil. You must never give up hope for I Am every merciful and My Compassion is all encompassing. I will never reject anyone who calls out to Me. I only desire to bring them My Love, My Peace and My Glorious Kingdom. Because I do not take back what I give, your free will be both your triumph and your downfall, depending on which path you choose. This means that if you offer to Me your free will, for the good of your own and other souls, you can and will defeat your greatest enemy, the devil. But if you allow evil to infiltrate your soul, you will cut off, by your own free will, all ties to Me. I love you and bring you great Blessings and comfort as I prepare you for my Time. Allow your hearts to welcome Me. 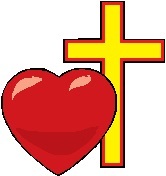 Allow My Love for you to infiltrate the hearts of all God’s children including those who persecute you in My Holy Name. I bring you peace this Christmas and assure you that My Time is very near. I will come soon to reveal to you My Mercy. To those of you who despise Me through this Mission I will pierce your hardened hearts with the Gift of the Holy Spirit. Soon, any doubts you may have will feel and your burden will be lifted. Until then, you will endure the pain of separation from Me, which has been imposed upon you by the king of lies, who rejoices at your rejection of Me. Do not resist Me, My beloved ones, for I love you with a relentless longing. It is with a bitter sweetness that I come to you, begging those of you who say you love Me, to turn to Me. I cry tears of sorrow because you cannot accept Me through this divine intervention when it is given to you freely. You should be trying to proclaim the Truth but, instead, you have rejected Me cruelly and in a way that is not befitting of My Divinity. Pray, pray, pray for all the lost children in the world who have severed all links to my Son, although they were weaned on the Truth. Soon, they will be in no doubt as to His Existence and you must pray that human pride will not come between them and God’s Mercy. You must pray, especially, for those souls who have betrayed my Son in so many ways that they are given the courage to humble themselves before Him and beg for mercy. The Truth, dear children, given to humanity by the manifestation of my Eternal Father, through His only begotten Son Jesus Christ, is being torn apart. Do not embrace any form of doctrine, which does not uphold the Truth as a whole. You must never say that part of the Truth is important and then deny the rest of it. You either accept the Word of God, laid down by Him, or you do not. Time is of no significance. What was given thousands of years ago to man, through the Word of God, has not changed nor can it. Anything, which comes from God must remain intact no matter how difficult this is. To remain true to God’s Teachings requires great strength, stamina and a willful determination. Love is the way in which you can remain true to my Son but this love must be unconditional. It must never be sullied by love for your self because this does not give glory to God. If you truly love God you will remain loyal to the Word. If you say you are a disciple of my Son, Jesus Christ, then you must follow His Teachings without condition. You must love one another as He loves you – without condition. You cannot say that you love God if you do not love one another. You cannot walk in His Footsteps if you do not forgive those who trespass against you. The love between a child, fortunate to have loving parents, stems from an ingrained sense of trust. This trust is absolute. The same is true for every living soul who loves Me unconditionally. My Love for them is unshakable. Trust is the key to true love. Every child of Mine is loved, although their love for Me is not always there.